Drive up the appeal of your home with our in-ground Residential Flagpoles that are offered in various models and sizes to cater to your specific requirements. These easy to install flagpoles from Tuff Flags will make it easy for you to fly the American flag, your state flag or an organizational flag as never before. Made with exceptional quality materials, our residential flagpoles can be easily installed by a single person. 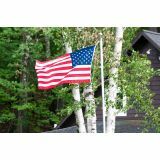 Shop from our collection of Residential Flagpoles and find great prices, quick shipping and much more! 100% customer satisfaction guaranteed! Tuff Flags offer a complete line of Residential Flagpoles that will nudge up the character of your home and will enable you the convenience of flying your favorite flags in styles. Available in different material choices like aluminium and heavy duty steel, our flag poles come in a range of sizes that range from the pint sized 6” to 10”collapsible flagpole to heavy duty flagpoles and telescoping poles to ensure something special for everyone. 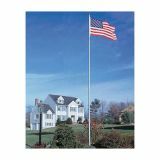 Our residential flag poles are easy to install and ensure exceptional quality at budget price. The smooth finish and exceptional craftsmanship of these flagpoles will make it visually appealing. Though these flagpoles are basically for residential uses, multiple flagpoles are sometimes used in memorial sites. These residential flagpoles come with accessories including gold vinyl ball ornament, pulley assembly and solid braided halyard among others to make your flag flying experience a memorable affair.Our sleek and stylish residential flagpoles will let you take pride in your flag and show the world outside that you are happy being Americans. 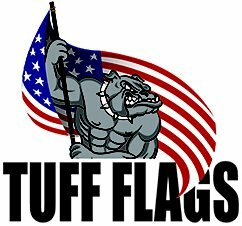 We at Tuff Flags have a fabulous collection of Residential Flagpoles for all your flag flying needs. 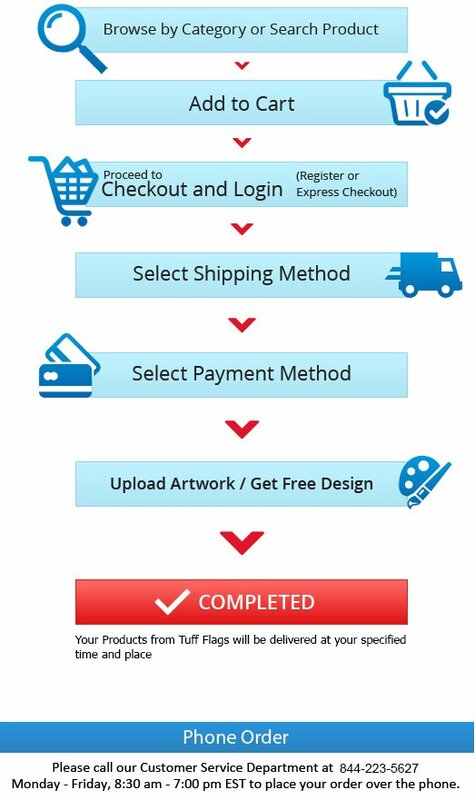 Call (888) 287-3524 or email us at customercare@tuffflags.com.today and allow our branding expert to help you in making the right selection.